Fresh rainfall was hampering a search Sunday for scores of villagers missing after a massive landslide in northern Nepal, where army troops used explosives to blast a river blockage in an attempt to release a dangerous water buildup. 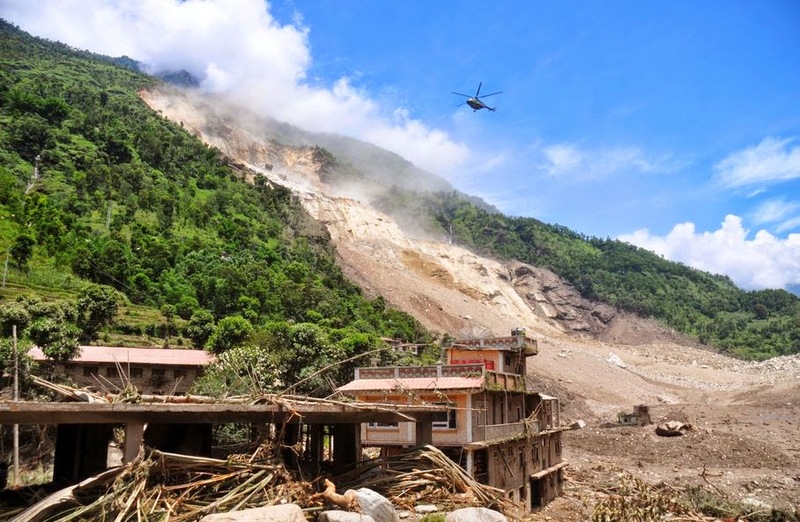 Police said eight bodies have been recovered so far, but villagers say more than 100 people were thought to have been buried by the landslide that engulfed houses in Mankha village, about 120 kilometers (75 miles) east of Katmandu, on Saturday. Fresh rain Sunday was making it difficult for police and army rescuers to sift through the piles of mud and rocks in search of survivors, said police official Laxman Singh. Controlled explosions by the army were able to knock down part of the earth wall that had blocked a river and created a temporary dam, allowing some water to flow out but much of it still remained trapped, posing an immediate threat to downstream villages as far as India. A man who was among the dozens of people injured by the landslide said the death toll could be higher than 100. "There are nearly 100 people in the 60 houses in my village and 20 more people in the neighboring village who were buried by the landslide. 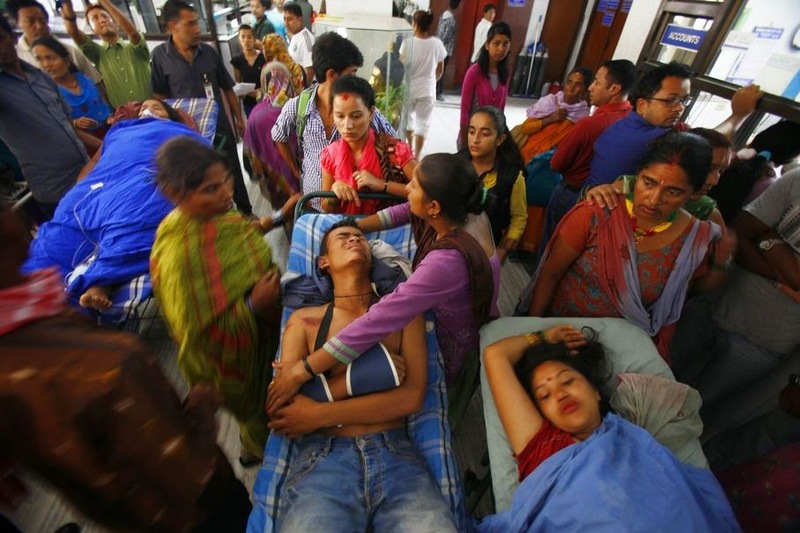 All of them are likely dead," Durga Lal Shrestha told The Associated Press from his hospital bed in Katmandu, the capital, where he was flown by helicopter. 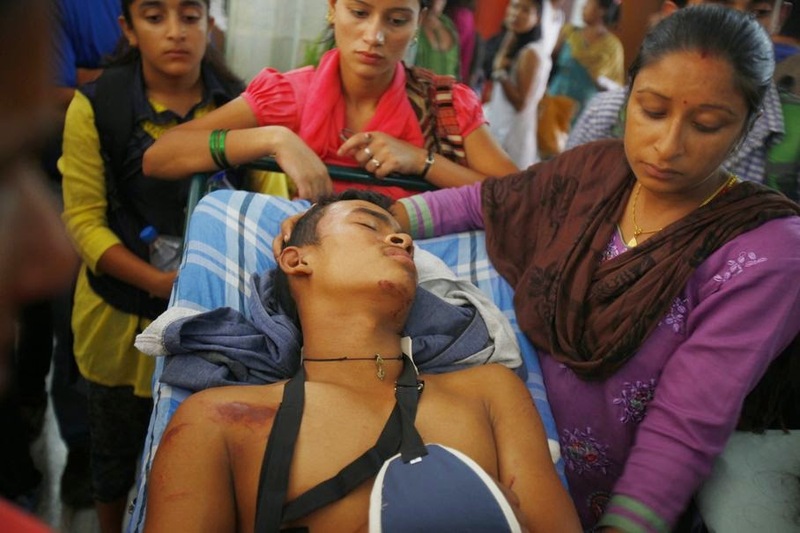 Shrestha, who suffered bruises on his face and arms, said he and his family heard a rumbling sound and the ground shook like an earthquake. "The walls in my house caved in, but the roof was fine and that is how we were able to survive," he said. "When we came out, it was dark and muddy. Everyone was screaming and it was a chaotic situation." About 40 people were injured. 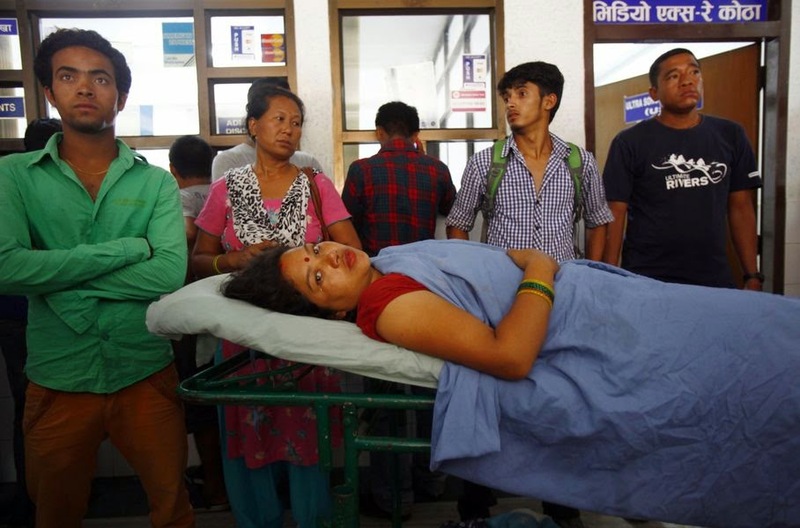 Besides Shrestha, 10 others were flown to Katmandu for hospital treatment, including a Belgian man. The Arniko highway, which connects Nepal to Tibet, remained closed on Sunday. 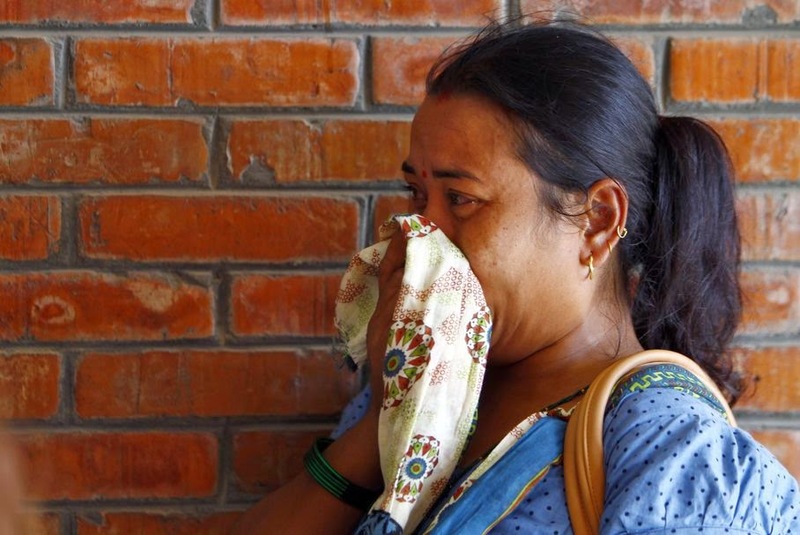 In neighboring India's Bihar state, officials were evacuating thousands of villagers along the Kosi River to higher ground because of the risk of flash floods coming from Nepal, said Anirudh Prasad, a government official in Patna, Bihar's capital. 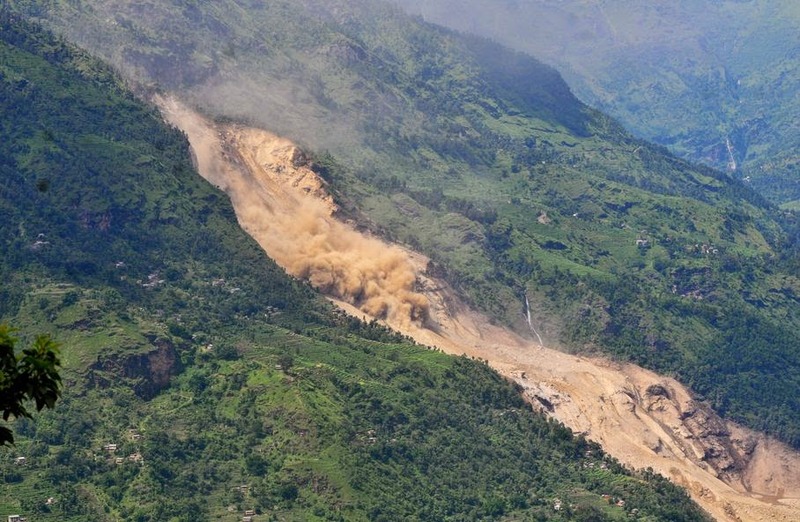 Landslides are common in mostly mountainous Nepal during the rainy season, which runs from June through September. 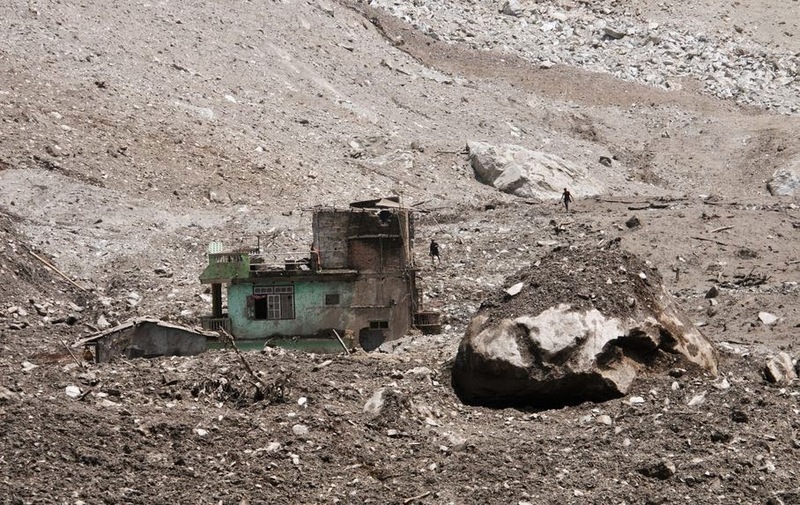 A landslide in May 2012 killed at least 26 people when an avalanche blocked the Seti river in northwestern Nepal. The walls burst, causing a flash flood that swept several downstream villages.